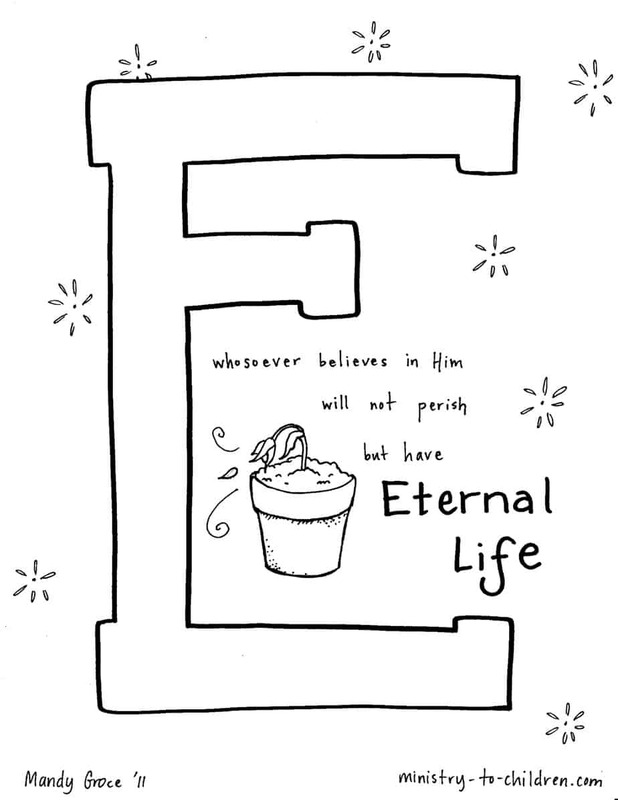 This printable coloring page is part of our larger Bible Alphabet series. The themes for each letter were chosen by our readers. Directions: Click on the preview image to download this file as a print-friendly PDF. You can also right click on the links below. 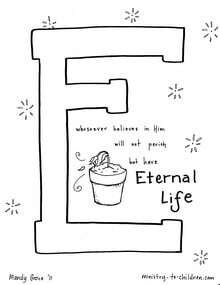 This simple illustration shows a large letter “E” and the words from John 3:16. Their is a picture inside the sheet of a small flower pot and a wilting flower. This is a great opportunity to explain God’s promise of eternal life for all who believe in Jesus. If you enjoy these free Christian coloring sheets, be sure to leave a comment below to share your appreciation with Mandy. You can also let us know about the creative ways you’ve used these resources in your ministry.